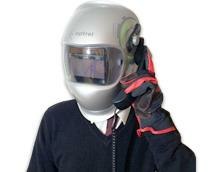 Everything for the job, from an Extension lead right through to the Electrodes or Welding Wire, even Welding Helmets and Portable Screens, we have the lot. Select from our huge range of Hire equipment from leading manufacturers, welding equipment hire from:- SAF, Kemppi, Metrode, Miller, Nederman, Command Welder Generators. Hire rates to suit you from daily to yearly. For a Welding Hire Service that is second to none in the south west and immediate delivery call Craig on:- 0117 9866006. Ex-Hire machines always available for sale. We can now offer equipment to weld Aluminum on site without a Electrical Supply.